Tucked away in a quiet lawn behind the much larger and more bustling Science Center, Paine Hall, the home of Harvard’s Music Department, may seem like an unlikely center for radical innovation on campus. Yet when the building’s namesake, German-trained composer and organist John Knowles Paine, became Harvard’s first professor of music in 1875, he founded the first university music department in America. Paine established a curriculum centered on the Western canon—Bach, Beethoven, Mozart, and other composers in the classical music tradition—that has remained at the core of the department ever since. Today, however, a new generation of musicians and academics at Harvard is advancing a more broadly inclusive, socially committed model of music scholarship. In the last ten years, new faculty hires have brought fresh perspectives on music outside the Western canon to the department. Last semester, the department announced its intention to review and reform the undergraduate music curriculum, a process that is currently ongoing. Yet engagement with music outside the Western classical tradition at Harvard still often takes place outside the Music Department. Hip-hop and even jazz often receive scholarly attention more as sociological or ethnographic material than as musical forms. Many students in the department, moreover, remain ambivalent about broadening the music curriculum’s geographic and historical scope. Far from being purely academic or aesthetic pursuits, making, hearing, and studying music at Harvard increasingly intersect with broader conversations about social change. The politics of music—who makes it, who listens to it, who studies it, and what criteria we use to distinguish it from noise—remain contested on campus. 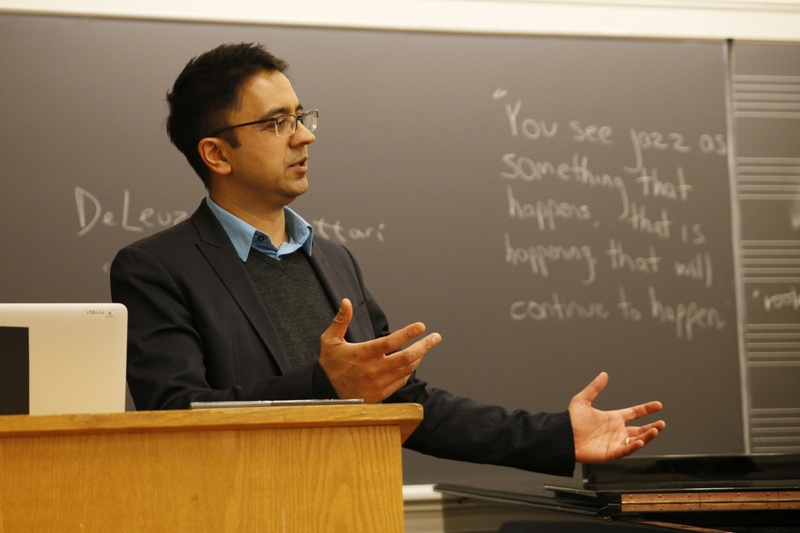 Professor Vijay Iyer teaches Creative Music: Critical Practice Studio on Monday afternoons. Yet for the new faculty at the Music Department, music and its academic study are inevitably bound up with social and political questions: questions about identity, community, history, and ownership. 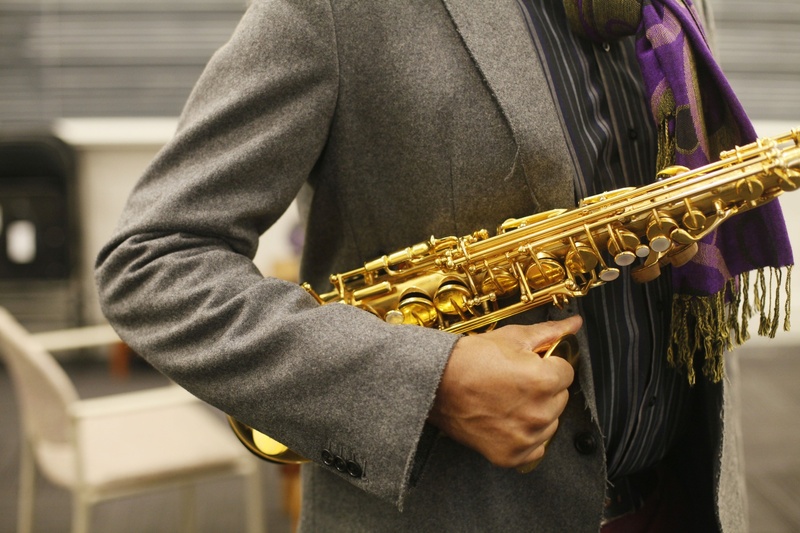 Three of the department’s recent hires are Ingrid T. Monson, hired in 2001 as professor of African American music; Iyer, hired as professor of the arts in 2014; and jazz saxophonist and composer Yosvany Terry, hired in 2015 as a senior lecturer and the director of Harvard’s jazz bands. 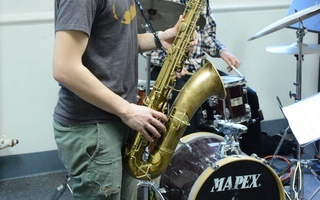 All three bring to the department an attention to music outside the Western canon, particularly jazz and other music coming out of the African American experience and the African diaspora. Professor Ingrid T. Monson teaches “From R & B to Neo Soul: Black Popular Music and Cultural Transformation” in Paine Hall on Thursday morning. 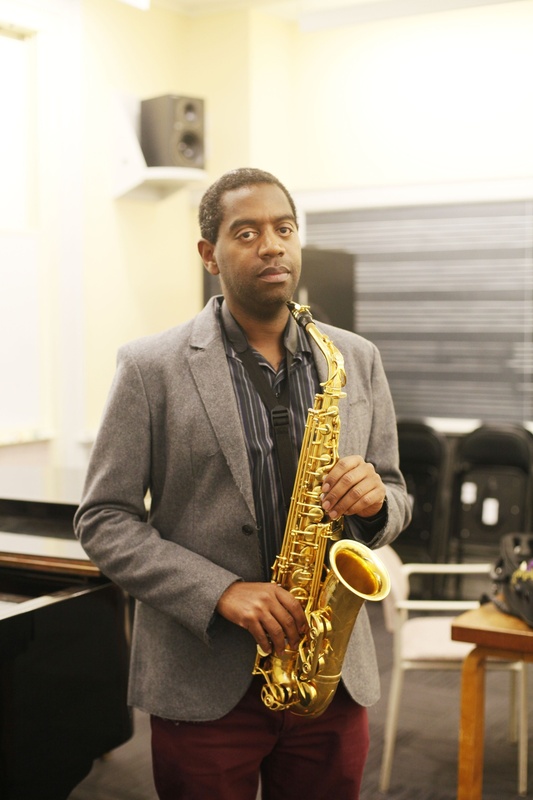 Yosvany Terry’s presence on the Music faculty itself reflects the department’s interest in further incorporating jazz and non-Western music into its course offerings. 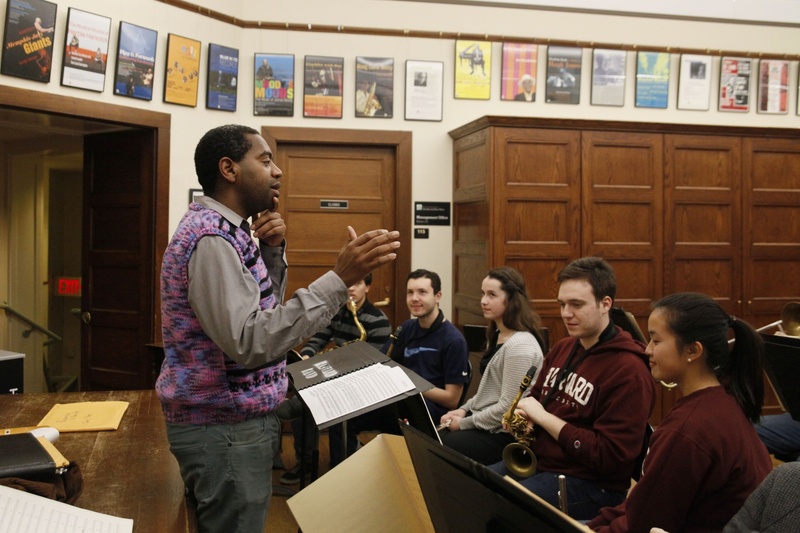 Previously, the director of the Harvard jazz bands worked solely for the Office for the Arts; Terry is the first to hold a dual appointment in the office and the Music Department. Rehding adds that the review process has also been informed by developments outside the walls of Paine Hall. “It really feels like this is part of a discussion that is being had all over the country right now,” he says, speaking of the Black Lives Matter movement and related conversations about race on college campuses. Yosvany Terry guides Harvard Jazz Bands through Rufus Reid’s “Dreamscapes” during their rehearsal on Monday evening. Rehding specifically highlights a December 2015 protest by Oberlin College’s Black Student Union, which demanded, among other things, an end to what the organization called the privileging of the Western classical repertoire and the underrepresentation of jazz in Oberlin Conservatory. However, at Harvard the push for change has come much more from the music faculty than from students themselves. Many Music concentrators say that they remain ambivalent about the value of adding more ethnomusicology courses focused on world music. “I could go for more of a diversity of coursework, in the sense that the courses are very focused on Western classical music,” Samantha K. Heinle ’16, a concentrator in music and comparative literature, says. However, she adds that as a joint concentrator she herself was not required to—and did not—take any ethnomusicology courses. Corcoran says that he supported the department’s efforts at making its curriculum more flexible. “I certainly see [diversity] as something that music departments should be mindful of,” he says. He added, however, that his own work focuses on Wagner and other German Romantic composers. “The department sort of channels right to that, which works out for me,” he says. Ko says that he believes the department already has a sufficient number of world music courses. 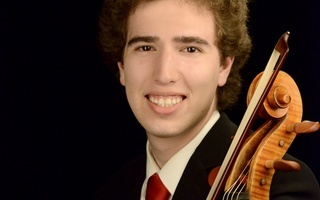 “In terms of learning theory, like the basics of music, it’s very Western European-centric… [but] after you take those basic theory courses, there are actually very few Western classical music courses offered,” he says. He added that he would prefer to see more electives focused on Beethoven, Brahms, and other classical composers rather than more ethnomusicology courses. Josh W. Bean ’16, a joint concentrator in music and East Asian studies, says that he supports the department’s push for diversity. However, he adds that he believes that diversity involves more than simply adding more ethnomusicology courses. “I believe the department should absolutely offer more courses on topics outside the Western classical tradition,” he wrote in an email. 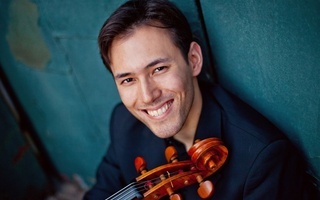 “However, the notion that there is this strict dichotomy between Western classical music and ‘other music’ should also be challenged and scrutinized more rigorously in the classroom.” Several other concentrators says that they had no opinion about whether the department should be more inclusive of music outside of the Western tradition. Moreover, despite the Music Department’s interest in broadening its focus, the study of African American music continues to take place in “[A] significant part outside the department. Regarding contemporary African American music, Monson says. “Getting popular musics and hip-hop into music curricula has been… complicated. Many people who have been interested in those issues have been in American Studies or African American Studies or English departments.” The study of hip-hop at Harvard, for instance, began with the research not of a musicologist but of a linguistic anthropologist, Professor Marcyliena Morgan of the Department of African and African American Studies. Morgan is now executive director of the Hiphop Archive and Research Institute, a collection of recordings, album covers, posters, videos, and other ephemera housed in the Hutchins Center for African and African American Studies. Her own background exemplifies how hip-hop is now understood in an academic context at Harvard: She tends to discuss hip-hop in terms of social critique and political statement rather than musical form. Still, the presence of the archive at Harvard reflects a significant change in hip-hop’s reception since its birth in the 1970s. “The status quo was always, ‘This isn’t real, this isn’t happening. Nothing significant is coming out of communities of color,’” Morgan says. Harvard’s institutional support has also in itself raised hip-hop to greater prominence in the academic world, according to Morgan. “Harvard has really helped the growth of hip-hop in education, because people can say, ‘Look, they’re doing it at Harvard.’ When I started the archive, I was thinking about it from the perspective of research. I wasn’t thinking about it as a symbol… but that’s what it’s become,” Morgan says. Even the incorporation of jazz into the Music Department is relatively recent. 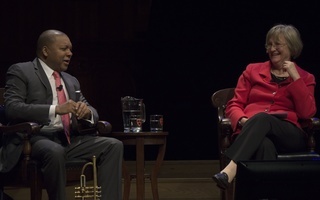 According to Monson, few university music programs offered any depth of coursework in jazz until the 1990s. Iyer, who majored in physics as an undergraduate at Yale, says that his choice partly reflected the narrow focus of the school’s music department at the time. “If I, as a student, had had access to [Harvard’s] Music Department today, [with faculty] who are thinking about music outside of the Western canon or who have a critical perspective on the Western canon, who are thinking of the music of the African diaspora or other diasporas outside the West and thinking about music from the standpoint of community… then maybe I would have become a music major,” he says. 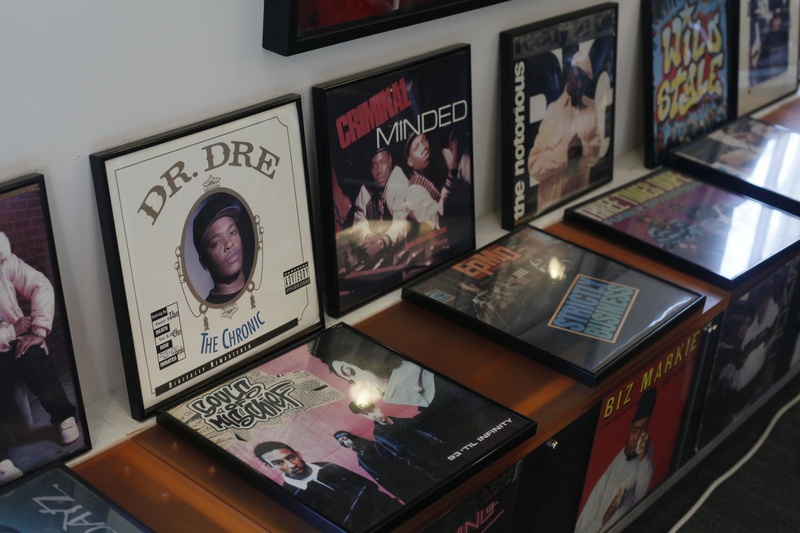 Framed album covers line the walls at the Hiphop Archive and Research Institute. 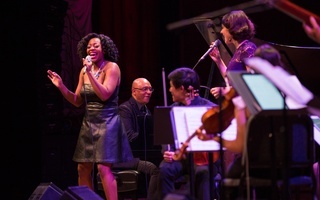 Faculty within the Music Department also emphasize the need to maintain consciousness of music’s origins, of its primary connection to the people and communities that create it. Iyer stresses the idea of music perception as embodied, as an empathetic experience. To hear music, he says, is to acknowledge the presence of another body in one’s own space. “The perception of music is about hearing bodies doing things,” he says. To lose a sense of the particular identities of the bodies that make music is to lose an important aspect of the musical experience, he adds. 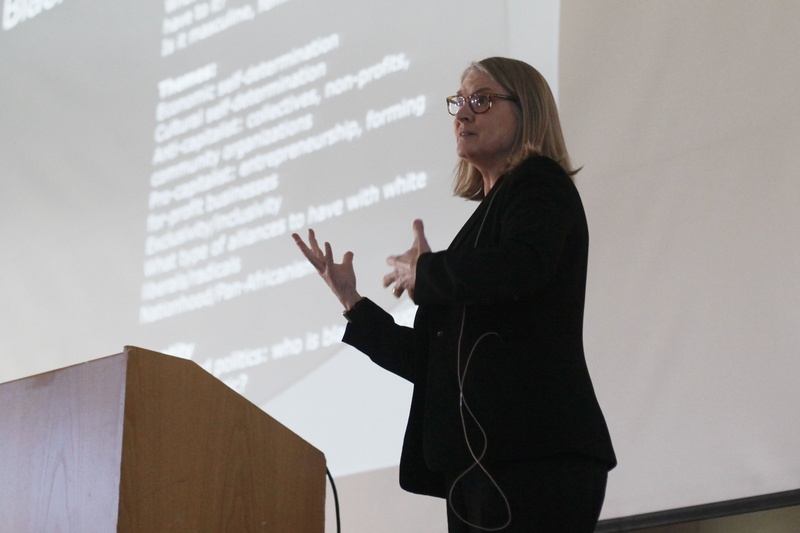 Whether and how African American music and other music outside of the Western classical tradition will eventually form a more integral part of the department’s core curriculum remain unresolved questions. And as faculty and students across campus seek the delicate balance between assimilating non-Western music into the curriculum and respecting cultural differences, weigh the costs and benefits of an education based on the classical canon, and debate what knowledge and perspectives undergraduates should gain from a degree in music, the larger question of what it means—or will mean—to study music at Harvard remains an open one.